The Grepon WDS Light Hoodie delivers high performance with a WINDSTOPPER laminated softshell fabric. A perfect protection for 90% of weather conditions. It is windproof and water-repellent as well as abrasion resistant, breathable and stretch. The WINDSTOPPER Activ 3L offers a great ideal of protection while keeping a lightweight, soft handfeel and comfort when wore next to the skin. The Alpine Fit reduces bulk around the body and gives enough room for unrestricted movement. The raglan sleeves pattern design enhances mobility and durability at high wear areas by reducing abrasion points particularly vulnerable to wear from pack straps. When needed, excess heat can be released using the underarm vents. Chest pockets sit high for easy access and are pack-compatible and quick access chest pocket allows to stow small items. 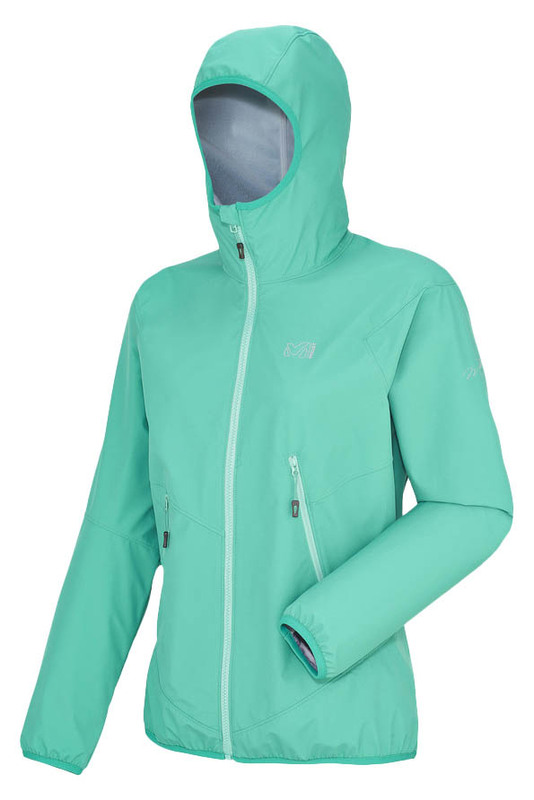 The hem and cuffs cinch securely to follow body movement and, with an ergonomic hood that secures tightly and delivers full coverage without restricting movement or visibility, the Grepon WDS Light Hoodie is ideal for core mountaineering and hiking adventures.